$4.25/lb. $3.75/lb. Avg. 210 lb. A $200 deposit is required. 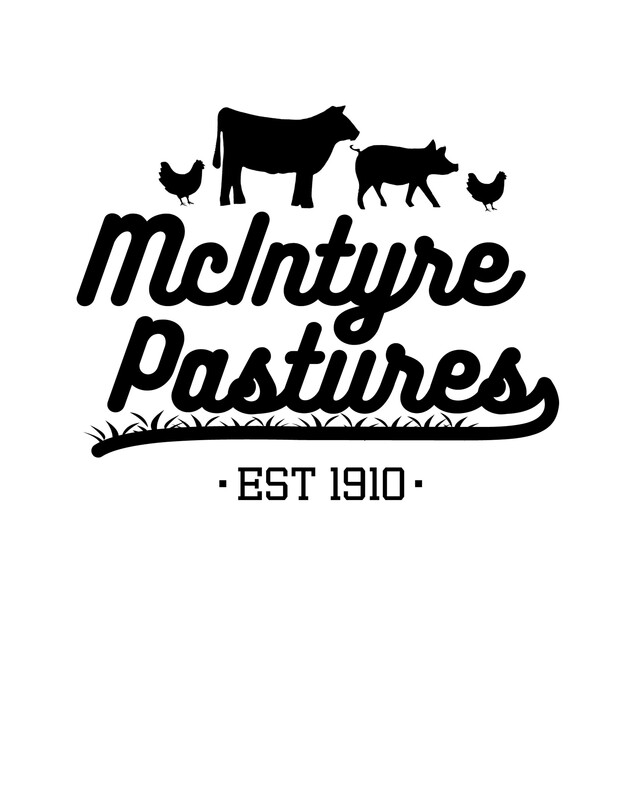 Put this in your shopping basket and choose McIntyre Farms as your pickup site. We will call you to confirm and get your deposit. We will deliver a steer to Greenleaf Meats and will be given a hanging weight by the butcher. This is the weight you will pay from. It is NOT the take home weight of your packages of meat as there are bones, organs, excess fat, ect. that will be cut out (although you can request to keep those, please do so in the NOTE section when ordering! )You will get to choose how you want all your meat cut up. 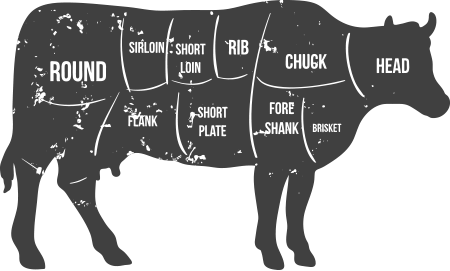 Lot's of choices including steaks, roasts, burger, ribs, etc! You pay the butcher when you pick up your meat for the kill, cut, packaging you would like done.